Siena to Rome - A Tuscan Adventure. Now in its seventh year, pedElle is the ultimate charity challenge for women working within real estate. Cycling through the beautiful Tuscan terrain with like-minded individuals, providing excellent networking opportunities, whilst raising money for Club Peloton's supported charities. For more information on the ride, please scroll to the bottom of this page. Registration opens at Midday on Thursday 29th November 2018, to start your registration please select the relevant ticket below and add it to your basket. Then click 'checkout' in the top right. A full refund minus a £250 non-refundable deposit will be available until Tuesday 19th March 2019. Access to this event is now restricted due to high demand. Please get in touch with rhian@clubpeloton.org if you would like to register. 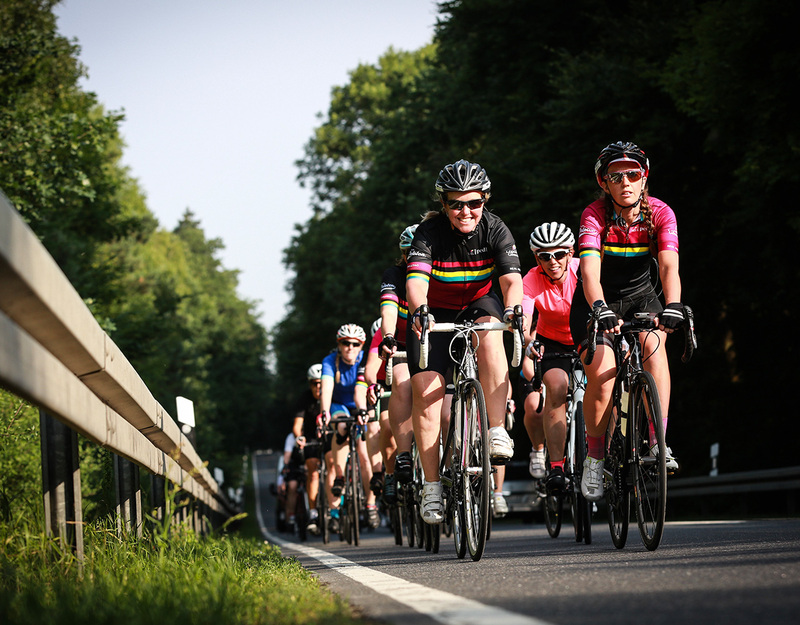 Even if you're not taking part in Legal & General Real Assets pedElle 2019 you can still do your bit for charity by making a donation. Over three days, cyclists will ride from Siena to Rome. They will cover a distance of up to 500km with up to 6000m of climbing. Flying out to Pisa early on Wednesday 19th June, there will be a coach transfer to your hotel in Siena leaving you with the afternoon to explore the heart of Tuscany and its medieval brick buildings. On Thursday 20th June you'll start your two-wheeled journey south, through the Chianti olive groves and vineyards, over the hill-top towns and around the lakes. After three challenging days in the saddle you'll arrive in the heart of the Italian capital, Rome, to celebrate with your fellow riders. You are then free to fly home on Sunday 23rd or stay on for a longer break to explore the ancient city and the many masterpieces it has to offer.